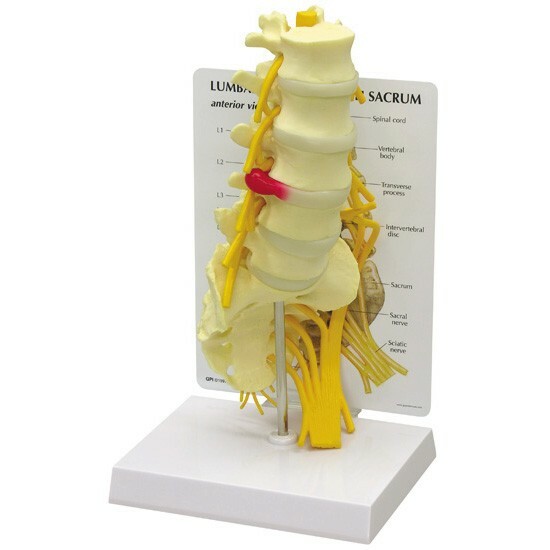 Full size section with spinal cord and nerve branches. 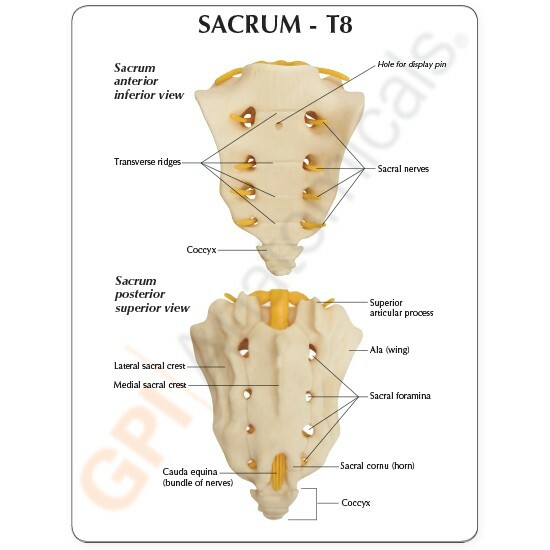 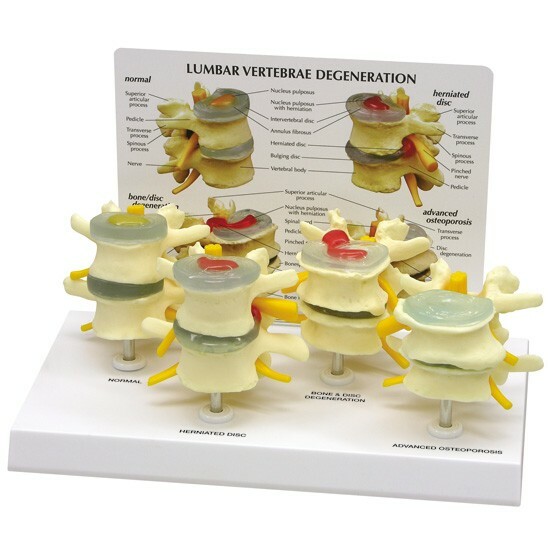 Bones featured are the Sacrum, L-1 through L-5 vertebrae, and T-12 through T-8 vertebrae. 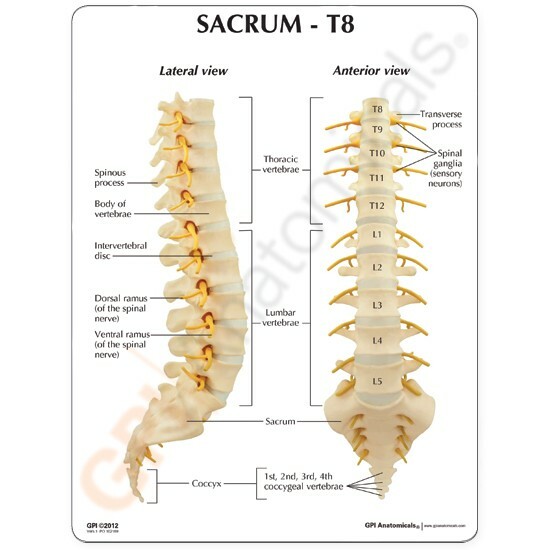 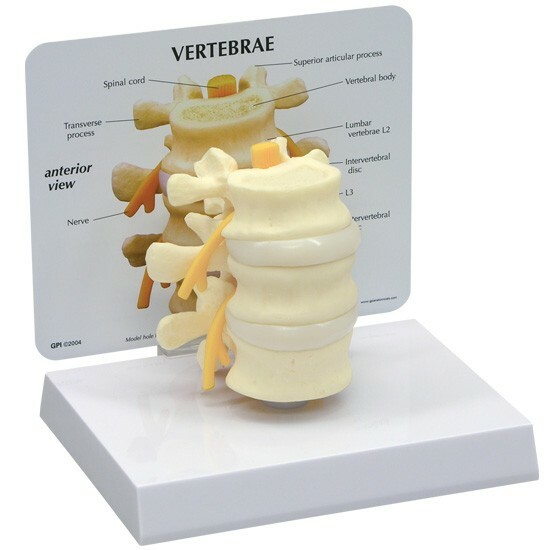 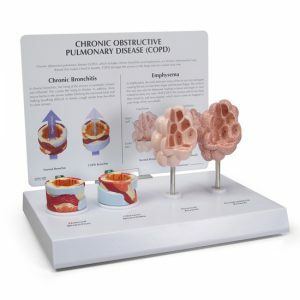 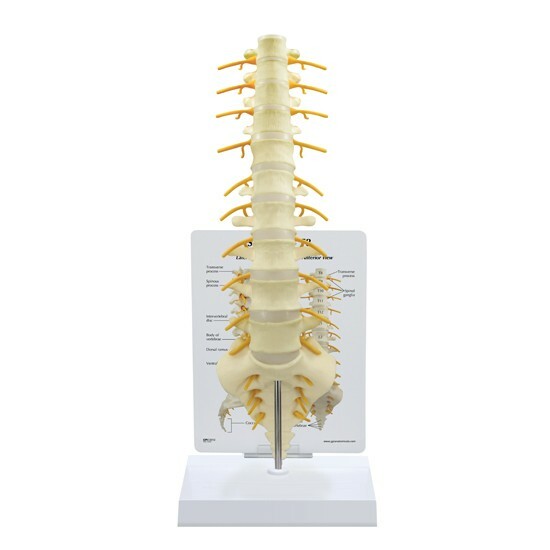 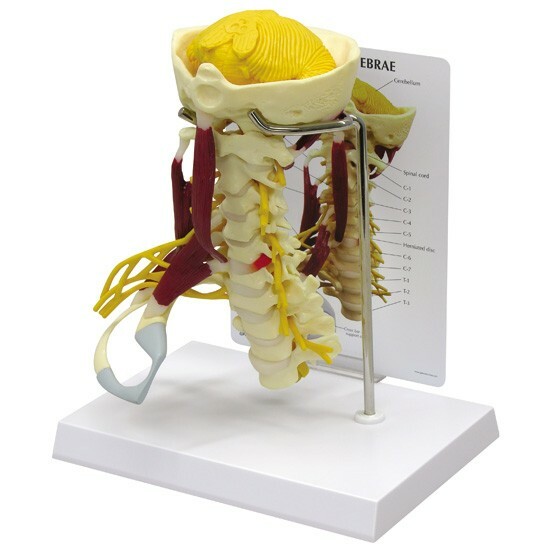 This sacrum model is highly detailed normal anatomy that is fully articulating.